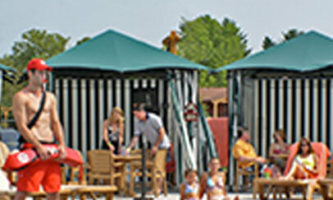 The most complete waterpark resort experience in Wisconsin Dells. 200,000 sq ft of indoor and outdoor waterparks, over 600 luxurious rooms, villas, and condos, six restaurants and bars, Spa del Sol and an 18-Hole Golf Course. Make a huge splash in your family scrapbook! Three adjoining indoor waterparks and an outdoor waterpark, all reserved exclusively for our guests. 436 spacious northwoods-themed suites and condos. Beyond Expectations. 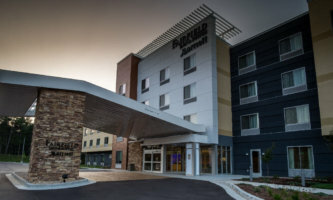 Offering 750 beautifully appointed, African-themed guest rooms, Wisconsin's largest indoor waterpark, first-class spa, world-class restaurants and the award winning Trappers Turn® Golf Club. On beautiful, scenic Lake Delton! Spacious units with 2 or 3 bedrooms; 2 fireplaces; a 4-season room with Jacuzzi tub; full kitchen and laundry room. Indoor/outdoor waterpark, outdoor fire pits, gas grills and limited boat slips. 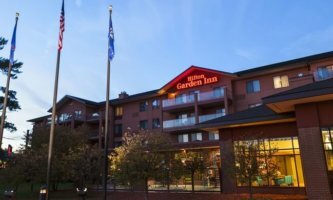 Hilton Garden Inn Wisconsin Dells is adjacent to the world-famous Del-Bar Restaurant and within five miles of shopping, entertainment and other famous Wisconsin Dells attractions. Discover the natural beauty of the local area and visit Lake Delton. 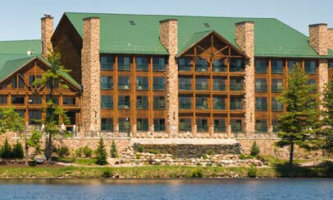 Relax in a beautiful and spacious, fully-furnished Glacier Canyon Lodge 1, 2 or 3-bedroom condo unit. 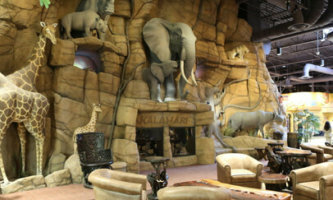 Featuring the Lost World outdoor waterpark, private poolside cabanas, mini golf; go-karts and conference center. 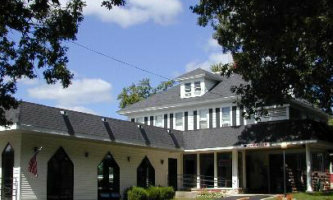 Best rates and hospitality in downtown Dells! Special packages save up to 50% on attractions, restaurants, waterparks, more! Within walking distance to boat tours, shops, attractions. Variety of accommodations, indoor/outdoor pools. 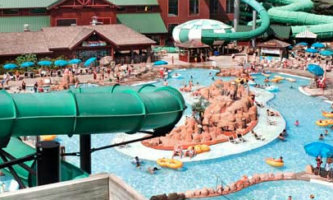 The Wilderness Territory, as seen on the Travel Channel’s Extreme Resorts show, is America's Largest Waterpark Resort. 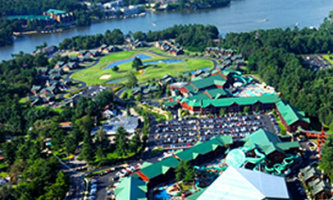 Four indoor and four outdoor waterparks, Wild Rock Golf Club, over a dozen eating options, more! On Lake Delton in Wisconsin Dells! All the amenities to make your vacation special in any season. Hotel rooms, efficiencies, family sized suites, romantic jacuzzi suites and new 3 bedroom, 3 bath family units that sleep up to 12. Fairfield Inn & Suites Wisconsin Dells is home to spacious rooms and convenient amenities. A great home base to explore from, our modern hotel is conveniently located near many popular attractions. 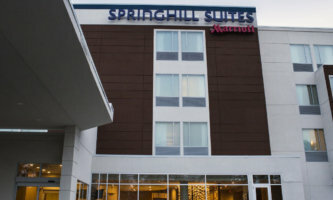 Make a splash at SpringHill Suites Wisconsin Dells, located in the Water Park Capitol of the World. Our modern hotel positions you less than 1 mile from many popular attractions. When you're not getting your adrenaline pumping on thrilling rides or at captivating performances, settle into a homelike stay in our spacious suites. 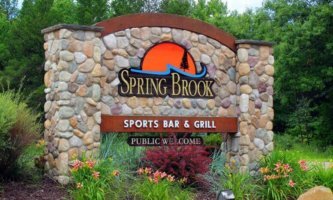 From fishing and swimming to golfing and dining, Spring Brook’s scenic Wisconsin Dells resort offers something for every guest, visitor, and owner. Plus, our laid-back pace and beautiful surroundings make this a perfect getaway. 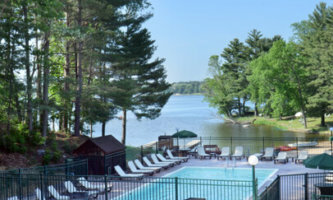 Whether you visit just for a few days or decide to make us your permanent getaway, you will enjoy your time in our Wisconsin Dells vacation rentals.